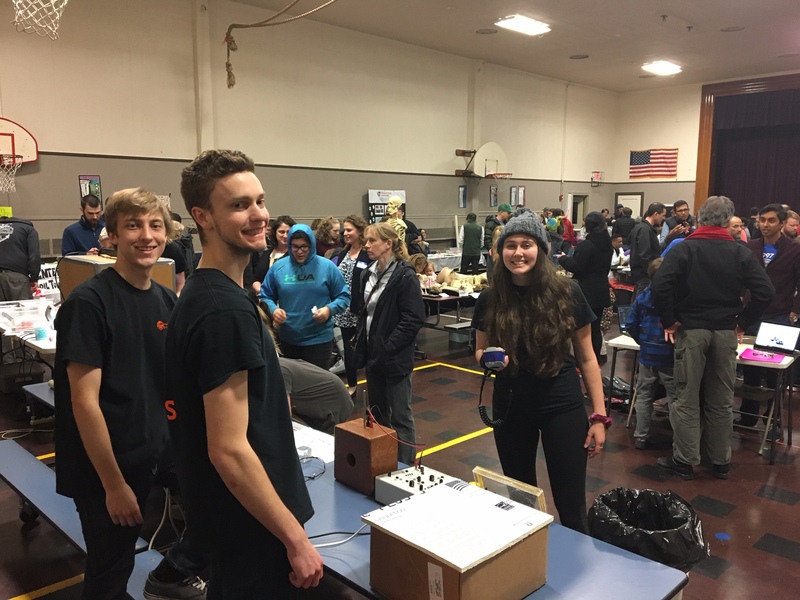 Undergraduate volunteers from the Department of Physics presented kid-friendly demonstrations at the annual Family Science Night at Franklin School, Corvallis, on January 24th. 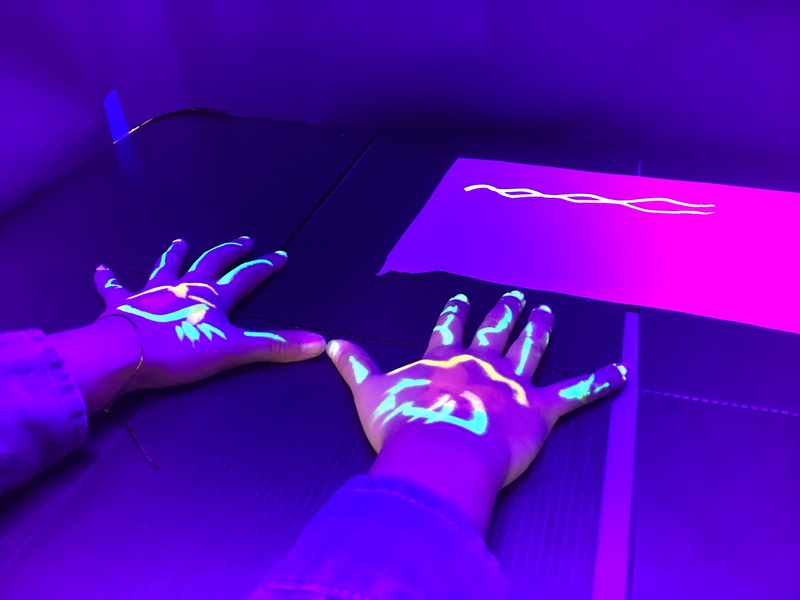 The hands-on demonstrations focused on the electromagnetic spectrum, from invisible infra-red wavelengths to ultra-violet wavelengths, and everything in between. 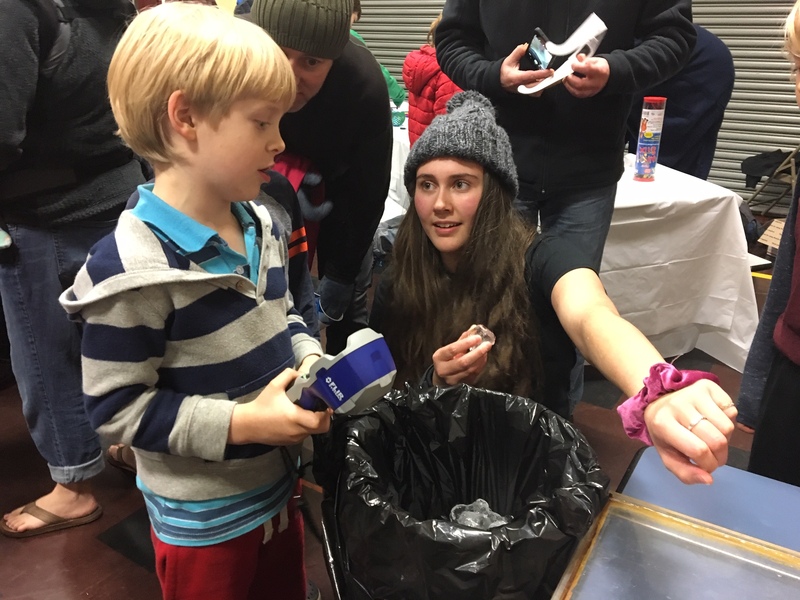 With an infra-red camera, kids could see through black plastic bags and discover warm hand prints on the table, and show their parents the heat leaks in a model house. At the other end of the spectrum, kids played with fluorescent markers and brought their artwork to life in a UV light box. Many thanks to our undergraduate volunteers Rosemary Williams, Garrett Jepson, Christian Wood and Hunter Nelson. 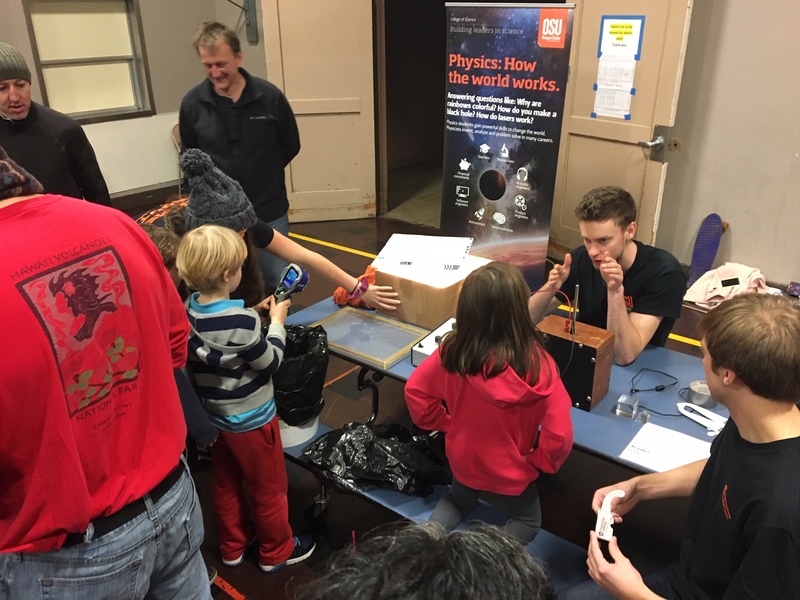 Physics will attend several more Family Science Nights at local schools in the upcoming weeks. 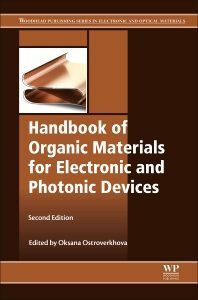 Oksana Ostroverkhova, Professor of Physics at Oregon State University, and a leading expert on organic electronics, is the editor of the second edition of Elsevier Publishing Company’s “Handbook of Organic Materials for Electronic and Photonic Devices”. This 911-page handbook provides an overview of the materials, mechanisms, characterization techniques, and structure property relationships of organic electronic and photonic materials and describes the latest advances in the field. Oksana selected the topics, solicited contributions from the authors, and edited the entire book. and the result, at least a year in the making, is a comprehensive overview of a quickly-developing field. Chemical Reviews 116, 13279 – 13412 (2016). This review is already her most highly cited publication from her time at Oregon State University.